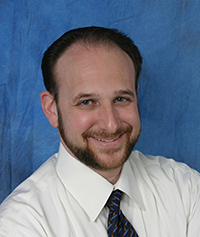 Dr. Sean A. Samuels discovered the power of chiropractic at an early age. "When I was 11 years old", Dr. Samuels writes, "I had my head slammed between a door and the steel railing behind it. I suffered a concussion and was left with daily headaches as well as severe dizziness. I missed almost half the school year because of it." After visiting several medical doctors and receiving every test imaginable, his father decided to take him to a chiropractor who took x-rays and performed a chiropractic adjustment. "For the first time in six months, I instantly felt like my feet were firmly planted on the floor and the dizziness was gone," Dr. Samuels remembers,"I always knew I wanted to help people. I decided right there and then that I would become a chiropractor so I could help people get well in a natural way without drugs and surgery." This early experience was the seed for a fulfilling career in chiropractic. After completing his undergraduate studies at Grossmont College and San Diego State University, Dr. Samuels attended Los Angeles College of Chiropractic where he graduated in 1994. Since then, he's had the rewarding experience of helping patients regain their normal lives, free of pain. With over 20 years of practice, he's produced a number of near miracles; like when he detected that a 55-year old father of three had an abdominal aortic aneurism and sent him for surgery before it killed him, thereby saving his life; or when he helped a young woman with fibromyalgia and chronic fatigue regain her health to where she was able to have a healthy baby girl after she was told she could never have children. Dr. Samuels treats patients with a variety of needs. Auto accidents, work injuries, headaches, neck pain, back pain, disc problems, numbness and tingling, and sciatica. He also provides wellness care to whole families and is certified in the Webster technique for helping turn breech babies. His extensive knowledge of a diverse array of techniques allows him to tailor his care for each unique patient. "I take my time and treat each patient as an individual," notes Dr. Samuels, "Everybody is different. I modify my techniques to fit the patient, not the other way around." Dr. Samuels moved to Baltimore in 2007, where he now lives with his wife Dr. Linda and their three amazing children. Linda is also a doctor of chiropractic part time in addition to teaching high-school science at Bnos Yisorel. Dr. Samuels finds great satisfaction in helping members of the Baltimore community achieve healthy lives naturally.